The “open space” physical space architecture, a core staple of modern tech/startup culture, seems to be getting some healthy criticism , over the last few months in particular. Representative examples can be found here and here. Responses arguing the exact opposite are abundant as well. So who is right? Is open space the worst productivity-killer ever invented? 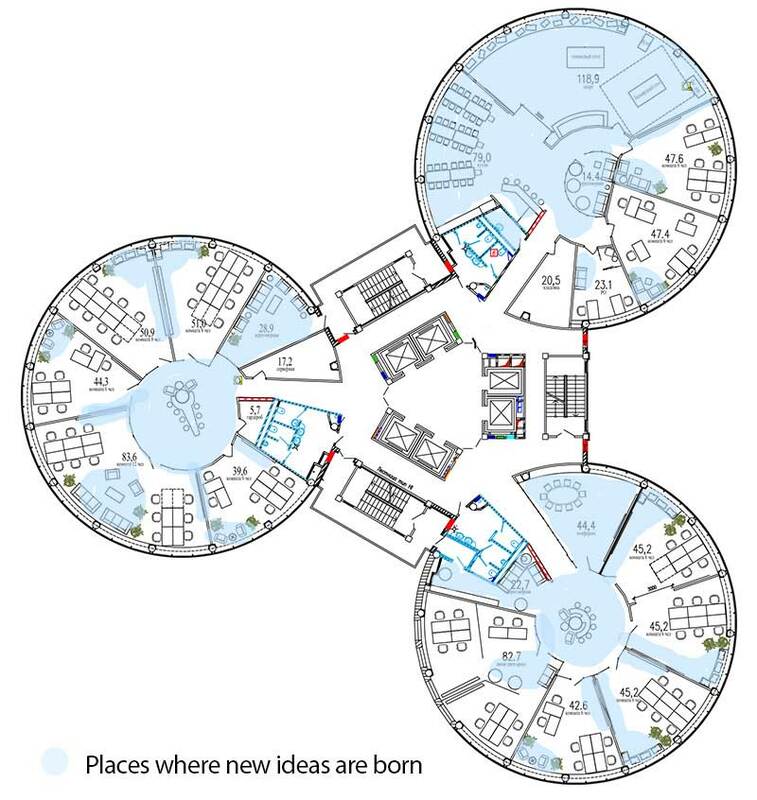 Or an essential environment for collaboration and innovation? Fortunately, science and a some smart people can shed light on a perspective that seems closer to the truth. On the one hand, serendipitous interactions (which I previously covered here), a true accelerant of innovation, increase when people from multiple disciplines interact. On the other hand, open-office plans seem to reduce productivity and satisfaction (though there’s some evidence suggesting otherwise). A physical architecture that is not aligned with the company’s culture will do more harm than good. You would not reap the benefits of an open space layout in a culture where employees feel judged based on the hours they spend in the office. Similarly, cubicles will not lead to productivity increases in a culture that champions collaboration and teamwork. Other cultural guidelines around noise, presence and use of space can have a meaningful impact as well. This post builds on a previous post in this blog, where I made the case for having architects for organizational systems. 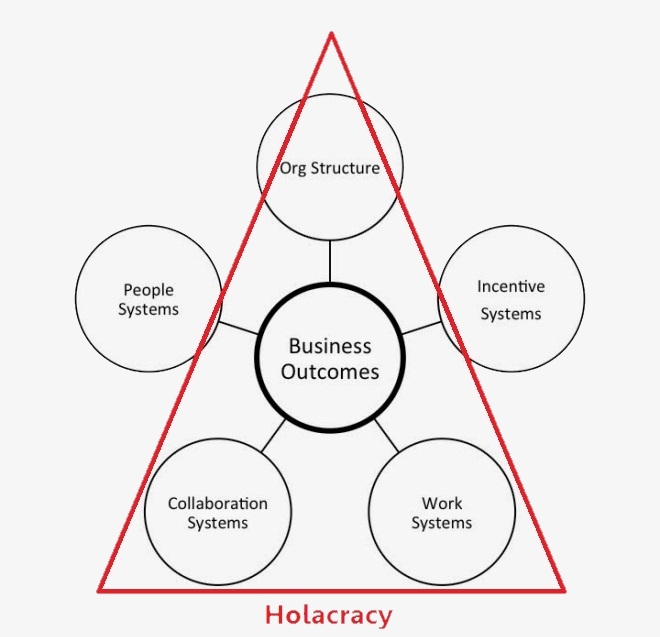 Under this paradigm, business outcomes hinge on the interaction between 5 sub-systems: org structure, incentive systems, work systems, collaboration systems, and people systems. The Table Group, Patrick Lencioni’s consulting group, argues that “organizational smarts” – strategy, technology, marketing, finance, etc. – is no longer the driver of competitive advantage, since intellectual ideas are not a sustainable differentiator in an age when information is ubiquitous. Therefore, what truly matters is “organizational health” – minimal politics, minimal confusion, high morale, high productivity, low turnover, etc. I’d argue that even “healthy” is not enough. What we really need are organizations that are “fit” to deliver on their mission/business outcomes. All athletes/top performers need to be healthy. But a weight-lifter and a cyclist need to be fit in different ways in order to be the best in what they do. Which brings us back to the 5 systems. Organizational fitness is reflected in the way these systems work in concert to drive the specific business outcomes an organization is trying to accomplish. And, without falling into a recursive trap, building and maintaining organizational fitness is then a business outcome in and of its own. 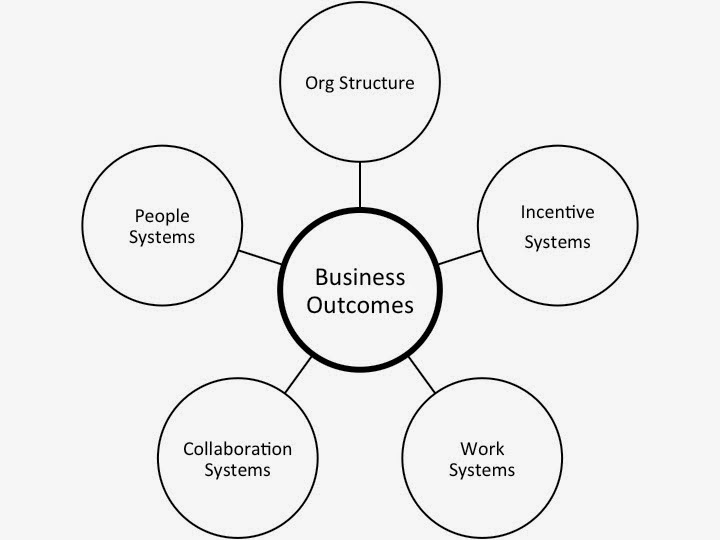 Therefore, we must ask ourselves: since org design is a key system that enables business outcomes, are businesses organized in a way that enables them to build and maintain fitness? The good news for the Table Group, and the bad news for almost everyone else, is that the short answer is: no. We know from Conway’s Law that the way we divide and assign responsibilities in the organization has a material impact on its function. A typical organization has departmental heads for all the “organizational smarts” disciplines: a head of marketing, a head of technology (R&D/CTO), a head of finance, and so on. Yet “organizational fitness” is not expressed in the organizational structure in any material way. 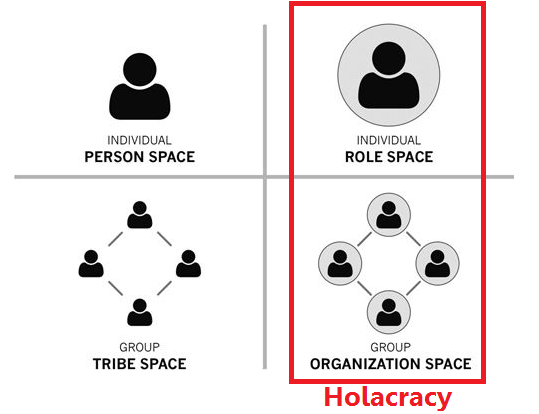 Responsibility over the 5 systems is typically no-one and everyone’s job, so it’s no surprise that many organizations are not organically poised to build and maintain a high level of organizational fitness. The one exception to this rule is people systems, which have a well defined owner, at least in theory – the head of people. But that’s a story for a different blog post altogether. So perhaps it’s time for organizations to revisit the traditional structure of the executive team, and consider whether an alternative structure can better express the growing importance of organizational fitness as a critical discipline driving competitive advantage. The short answer to this question, according to Greg Lindsay, is “because it can be planned”. To a degree of course. In his essay, Greg covers the aspects of physical structures, organizational structures and networks that can foster or hinder reaching a serendipitous mindset.